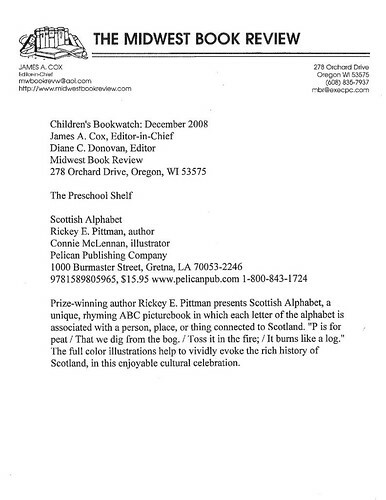 Scottish Alphabet Receives New Review! This entry was posted in General by Rickey Pittman. Bookmark the permalink.